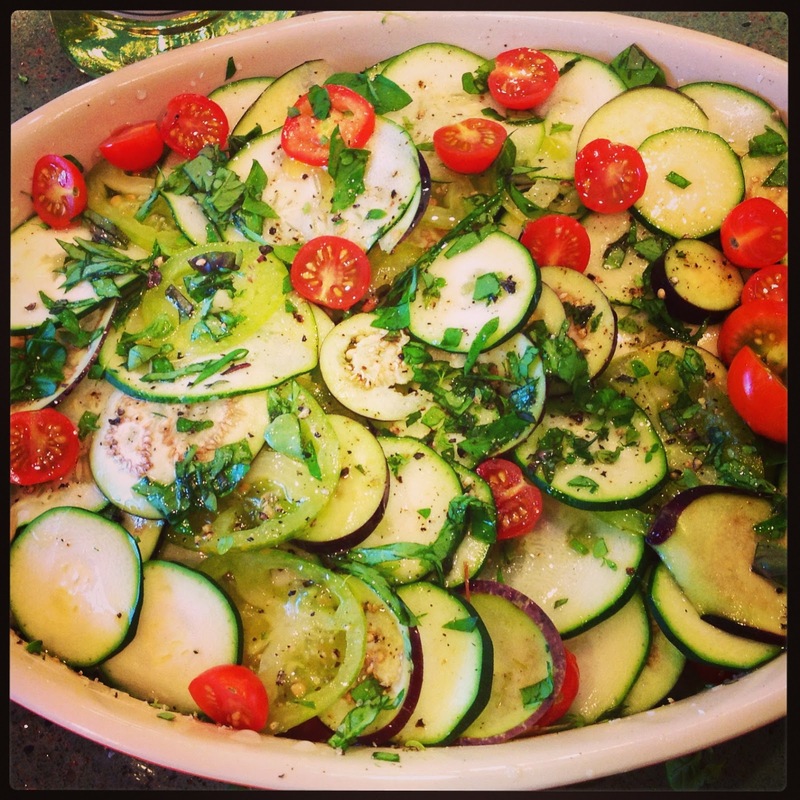 This simple dish is a wonderful way to take advantage of peak season summer vegetables. 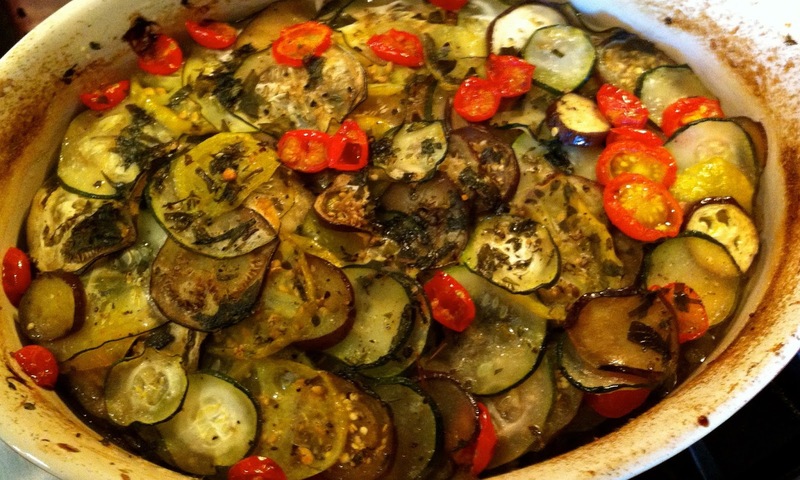 I’m happy to say that I picked the eggplants, tomatoes and zucchini from our little garden! 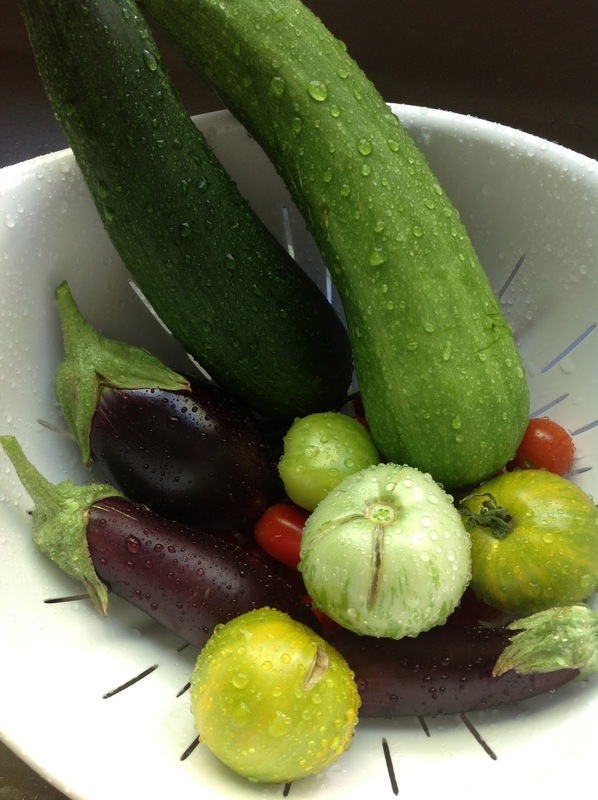 Yes, you heard that right–I actually grew two more zucchinis! Huzzah! The most difficult part of this dish is the assembly and that’s only if you’re slightly impatient, like me, and get tired of layering seemingly endless slices of vegetables, but the finished product is so worth the extra time. First, cut a piece of parchment paper to fit the top of the gratin or casserole dish you plan to use. Butter the dish and set it aside. Preheat your oven to 375 degrees. Sauté the onions and the garlic in a little olive oil until they soften, about two to three minutes. Add a little salt and pepper to the mixture. Spread the onions and garlic along the bottom of the buttered gratin dish. Starting in the center of the dish, alternate the vegetables on top of the onion and garlic mixture. Between each layer, sprinkle the thyme, basil, salt and pepper. 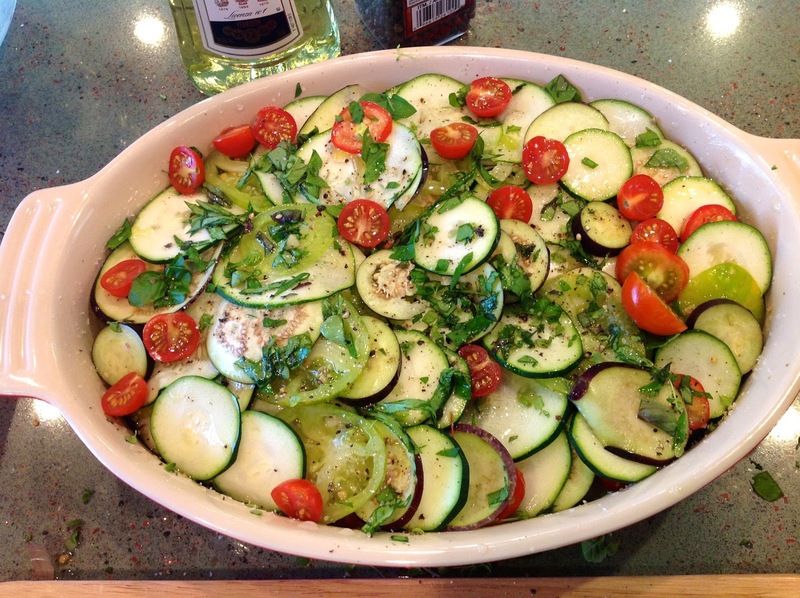 When you are done arranging the vegetables, drizzle a little olive oil and a splash of white wine over the top. Butter the piece of parchment and lay it butter side down on top of the vegetables. Bake for 35 to 40 minutes until the vegetables are cooked through. Allow the dish to rest for a few minutes before eating.